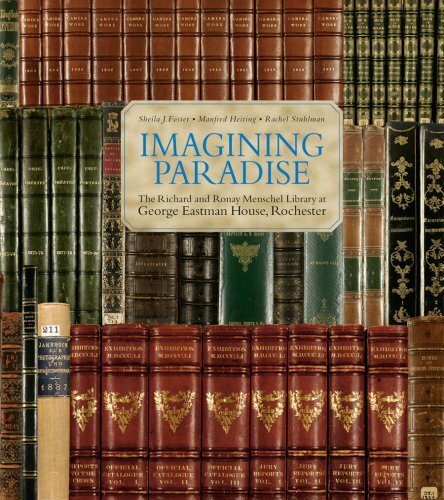 Imagining Paradise is the first book to showcase the treasures of The George Eastman House's incomparable Richard and Ronay Menschel Library. It features over 250 rare books, each beautifully illustrated here and accompanied by commentary from prominent scholars. A large and handsome volume itself, as befits its subject, it ranges over the history of the medium of photography, its practitioners and its processes-from bucolic landscapes, to travel and exploration, science and medicine, the literary and the illustrious. It encompasses the incunabula of William Henry Fox Talbot through the reveries of Maxime Du Camp and Francis Frith; the vision of Peter Henry Emerson to Alfred Stieglitz's Camera Work and 291; and the exceptional published and unpublished books by Alvin Langdon Coburn. It documents works illustrated with tipped-in original salt prints, albumen prints, platinum prints, photogravures, carbon prints, collotypes and Woodburytypes. It includes translations in five languages of Louis Jacques Mandé Daguerre's seminal instructional manual describing the daguerreotype process and works of great and unusual beauty, such as a red leather, bronze-trimmed Bible, illustrated in the 1860s with 56 photographs by Francis Frith. No other library in the world holds this breadth and depth of the history, aesthetics and technology of photography and no other book can bring them so thoroughly into the reader's hands. This exceptional collection of rare books was formed from the Eastman Historical Photographic Collection of the Kodak Company, which encompassed the collections of many of the most important photographic scientists, historians and collectors in the world.